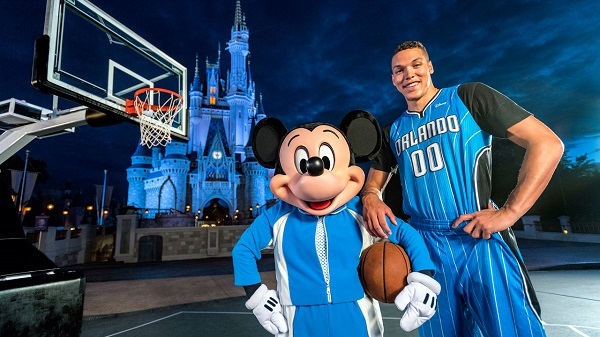 In what seems to be a perfect marriage that was destined to come true the moment jersey sponsorships became official for the 2017-18 season, the Orlando Magic have agreed to a deal with Disney to sponsor their jerseys for the 2017-18 season. Surprisingly the patch doesn’t really stand out too much from the uniform as it is an almost identical color that can kind of get lost in the jersey. The going rate seems to be $5 million to $10 million per year for these sponsorship partnerships, another genius way for the NBA to create revenue and build marketing and branding relationships without really hurting the integrity of the jersey or the game. This is easily the best partnership so far between company and team, the Magic will be looking for their prince charming in the 2017 NBA Draft.